The 2 overhead light beams projected on the floor should not cross eachother. The overhead light for the putting sensors must be mounted in the center of the putting sensors. The ball must be placed 15" to 20" in front of the putting sensors. Make sure the putting sensors are connected with the base sensor system and hold into place with the 2 little screws provided. 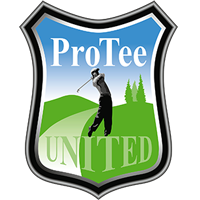 Open the DEBUG window in the ProTee Golf Interface. On the left side the 2 rows of putting sensors are displayed. All sensors should be OFF (not checked). After each shot/roll the counter value in the box CP should change to a different number. When you roll a ball over the putting sensors the first row and second row will show the sensors triggered by ball marked as checked. On the first and second row, the first sensor triggered ball on each row will be marked in red. After a few seconds the putting sensors will reset itself. All sensors should go off (not checked). If one or more sensors stay on (checked) or marked red, then these specific sensors are covered by debris or not getting any light from the overhead light. Check the sensors for debris and make sure the overhead light is aligned properly.